This morning I was teaching a student in Hsinchu, Taiwan, who is taking U.S. history in high school this year. I told her, history is much more than just memorizing dates. However, there is one year I told her she should memorize: 1945. The world changed radically that year, in ways that still affect us today. On April 12, 1945, U.S. President Franklin Roosevelt died. As a friend and of colleague of mine, Mr. Flanagan, used to tell his students: "I think FDR died as a war casualty." (This was because, after all the strain of being president for twelve years, including the Great Depression, the burden of being president during World War II helped kill the man.) Meanwhile in Germany, Hitler was delusional when he heard that Roosevelt had died. He was rejoicing, thinking that somehow the Americans would not quit the war. Fat chance. U.S. Vice President Harry Truman, a political lightweight compared to FDR, was thrust into the presidency. On April 30, in Berlin, Hitler had stopped rejoicing and instead committed suicide, because he could hear the pounding of Russian tanks just blocks away from his bunker. His dreams for a 1,000 Year "Reich" were crumbling after just twelve years. On May 8, the broken remnants of the German government surrendered to the Allies, thus ending World War II in Europe. So, May 8 is known as VE Day (Victory in Europe Day). However, Japan was still fighting in the Asia/Pacific region, unwilling to surrender. On August 6, on President Truman's orders, the U.S. B-29 Superfortress Enola Gay dropped the first atomic bomb used in combat on the Japanese city of Hiroshima. Even till today, the world lives under the shadow of nuclear war. This new threat--nuclear weapons--entered the world in 1945. Just three days later, on August 9, the U.S. dropped a second atomic bomb on the Japanese city of Nagasaki. These two bombings forced the Japanese government to surrender, thus ending the horrors of World War II. On August 14, (the 15th in the USA), the Emperor of Japan announced that Japan would finally surrender, so these dates are called VJ Day (Victory over Japan Day). On September 2, Japan formally signed the surrender documents aboard the USS Missouri, in Tokyo Bay, Japan, so that date is sometimes called VJ Day too. To learn more about that surrender, the USS Missouri, and the Dreyer family visit to that ship, read Scott's blog about Pearl Harbor. As you can see, 1945 was a famous year, a turning point in world history. But for today, let's focus on VE Day, May 8. Whenever you study history, you have to look at it from the context of that time, not from today's viewpoint. World War II had begun six years earlier, when Nazi Germany invaded Poland on September 1, 1939. (Some would claim that WW II actually began several years before that, when Japan invaded China.) Either way, the war had engulfed much of the globe in conflict, and had killed millions. The Nazi Holocaust had killed some 6 million Jews alone, and the Nazi invastion of the USSR had killed some 20 million more. By any measure, the devastation was horrific. At 3:00 pm on VE Day, British Prime Minister Winston Churchill addressed the nation by radio; as the wartime leader since the black days when he took office in May 1940, Churchill was the man of the hour and his people wanted to hear from him. The royal family appeared on the balcony of Buckingham Palace eight times that day to greet the cheering crowds: it was King George VI (the subject of the movie, The King's Speech), his wife, and their daughters Princess Elizabeth (now Queen Elizabeth II) and Princess Margaret. At one point, Churchill joined them on the balcony (see photo below). During the royal family's last appearance that evening, their two princess daughters were allowed to leave the palace and mingle anonymously among the celebrating crowd. Despite the jubilation, there was still seriousness. Japan was still at war, and with their fanatical resistance, their defeat seemed far off and uncertain. Plus, the US was still in mournig, where the new president Truman had ordered flags to be flown at half-staff for 30 days. Still, VE Day marked the surrender of Nazi Germany, the end of hostilities in Europe, the end of the killing and carnage there, and the restoration of peace in Europe that has largely continued to this day! VE Day was a day to celebrate in 1945, and a day for us all to remember for all time. We all owe the World War II generation a great debt of gratitude. No wonder they are called "The Greatest Generation." Learn more about VE Day here, from the British Imperial War Museum, a rich resource I used as a source for this post. Want to know more about Churchill, "the man of the hour" on VE Day? Check out Scott's Churchill I and Churchill II podcasts! With DreyerCoaching.com classes, you not only learn English, but also some of the history and culture of the English-speaking world. Contact us today to find out how we can help you! Today is April 9. On this date, in 1865, General Robert E. Lee, the chief general of the Confederate States of America (CSA), surrendered the Army of Northern Virginia (what was left of it) to General Ulysses S. Grant and the Union Army of the Potomac, at Appomattox, Virginia, thus essentially ending the Civil War. In 1865, April 9 was Palm Sunday, the Sunday before Easter. Appomattox was a sleepy little village, but it made history as the site where Grant's forces cut off and surrounded Lee's, forcing him to surrender. Some of Lee's men urged him to let his forces disband and roam the countryside and carry on a hit-and-run guerilla war, but Lee knew that would only spread more misery and postpone the inevitable. In a mark of greatness, he refused to consider that, and instead ordered his army to surrender. In a matching act of greatness, General Grant showed great clemency to the Southern forces. He hushed his men from cheering the news of the surrender, remarking that we are all Americans now. He allowed the Confederates to keep their uniforms--as those were the only clothes they had. The men just had to remove all insignia of rank and cover their military buttons with patches of cloth. Not long after the surrender ceremony, Lee asked Grant a favor. He asked that Grant's army give each of Lee's soldiers a parole, or pass, showing that they had surrendered honorably with Lee at Appomattox and could go home safely. Grant agreed and ordered 30,000 paroles to be printed in the Clover Hill Tavern and given to each man, allowing them free pass home, safe and unmolested. (In fact, the Union Army had its own printing presses and printers, and these men worked all day and night making these paroles to give out. You can see a copy of one of the paroles printed in 2015 at Appomattox and given to visitors.) Without those paroles, the Southern soldiers would have been in danger. While on the long trips to their homes, they could have been caught by Union (Northern) soldiers and arrested as Prisoners of War (POW). Or, they could have been caught by other Southerners and accused of being deserters and punished. Think about that. Since Grant was the winner and Lee was the loser, Grant did not owe Lee ANYTHING or any favors. But Grant was a man of honor, and President Lincoln had ordered Grant to "let them down easy," so he did Lee the favor. Grant also let the surrendered Southern soldiers take their horses home, since it was April and Grant wanted the men--mostly farmers--to go straight home and plant a crop for the summer to feed their families and communities. The South in 1865 was mainly a rural area, so it was necessary for the men to have horses to work their farms and grow food for the needy area. When you study world history, it is RARE, if not unprecedented, that an armed rebellion would finally be crushed--and the winners showed the losers amazing clemency and grace. This is just one more example of the incredible role and influence of Christianity in U.S. history. To show you how important Appomattox is in Virginia, here is a link of things to see in our state, A to Z, and Appomattox is listed first. Take a look! Appomattox, Virginia is just a short 90 minute drive due east of our world headquarters of DreyerCoaching.com. Come visit and see the National Park and site for yourself! Scott's podcast about General Grant. Scott's podcast about USA President Lincoln. Scott's podcast about CSA President Davis. Scott's video from the 2015 150th anniversary of the surrender at Appomattox, where he shows you the site where the paroles were printed--when General Grant suddenly appeared on the scene! Watch here. One student wrote about the Battle of Midway. In many ways, this battle was a big step after Pearl Harbor, as well as the turning point in the Pacific Theater of WW II, so I am DELIGHTED to add this blog post on the topic! Turning point. This accurately describes the Battle of Midway, one of the most decisive battles in the warfare of the Pacific during WWII. It not only halted the Japanese dominance in the Pacific, it reduced the potential losses of the American forces. Needless to say, the Battle of Midway is one of the most studied battles in recent history, not only because of its surprising result, but the strategies involved. Excited by its “victory” at Pearl Harbor six months earlier, Japan decided to launch another attack on the American navy by baiting them in at Midway, a small American island that was vital to the defense of Hawaii. However, Japan lost. How? The Imperial Japanese Navy (IJN) made three fatal mistakes: first, they were discussing the specifics of their plan through radio, which were picked up and decoded by the Americans; second, their forces were split apart too far to be effective against counterattack; last, their plan was based on a fallacious assumption on the availability of American carriers. First, their message was overheard by the Americans. Prior to the Battle of Midway, the American military broke the Japanese naval code (JN-25). This gave them a significant edge and proved to be pivotal to the Americans’ preparation, winning them the tide-turning battle in the Pacific. The fatal mistake made by the Japanese was to disclose too much of their plan through the radio. Of course, Japanese commanders were completely unaware of the US military’s access to their encoded messages, but these messages became decisive in aiding the US to plan out a counterattack against the Japanese ambush. Perhaps the human error of Japan was to include the specific date and place of the attack in the Pacific on the radio. They could have taken a much safer route of communication, to ensure the message was passed secretly between Marshal Admiral Yamamoto and his colleagues. The result of this leak was significant. The Americans, knowing their exact location and time of the attack, were much more prepared than their unknowing opponent, and prepared an ambush that ravaged the Japanese navy, which caused irreversible harms in terms of carriers and pilots. Second, the Japanese split their forces apart, resulting in miscommunication and ineffectiveness. Originally, the Japanese force was split into four sections, encompassing a wide region, to surround the American force and ambush them from all directions while they were busy fighting the “bait” at Midway. This was a viable strategy, which was ultimately meticulously planned. However, this strategy had two major downfalls. The first is that it was built on the assumption that the aircraft carrier the Yorktown suffered irreparable damage, rendering it to not able to fight. However, this is not true, and the Yorktown proved to play a pivotal role. The second downfall is the US interception of Japanese plan, which turned Japan’s devious plan of ambush into a weak formation. Mark Peattie, an expert on recent war history and Japanese military, dubbed the Japanese naval force as “glass jaw: it could throw a punch but couldn’t take one.” This split formation allowed the American force, which was originally weaker than the combined Japanese navy, to have an edge as it fights each forced one by one. The miscommunication between the sections also attributed to the US victory, allowing them to take out four Japanese aircraft carriers with only two and a half carriers in action (the Yorktown had only been partially repaired after its damage at Pearl Harbor). Lastly, the Japanese made a false assumption about the availability of the aircraft carrier Yorktown. During the planning stages of the Battle of Midway, the Japanese Admiral Yamamoto thought that the only two major American carriers in the Pacific were USS Enterprise and USS Hornet. This caused them to underestimate the firepower of their American foe, and devise a rather risky plan that requires delicate coordination between the split task forces. However, with one more carrier than expected available, the Americans were able to turn the tables. Though severely damaged in the Battle of Coral Sea, the USS Yorktown was still repairable. The presence of the Yorktown gave the American task force much more power and played a pivotal role in discovery and destruction of the Japanese fleet at Midway. In conclusion, the Americans secured their first victory in Pacific warfare because of a multitude of reasons, but mostly because of three fatal mistakes made by Japan: information leakage, battle miscommunication, and underestimating the American force. This victory secured the United States’s foothold in the Pacific region, and pushed Japan to the edge of the cliff, greatly affecting the later battles in the same region. Japan’s inability to recover from this loss indirectly affected the end result of WWII and changed history forever. What if the US had lost? Presumably, if the US had lost the Battle of Midway, not only would they have lost all three of their aircraft carriers active in the Pacific region, they would have also lost their grip on the area, allowing the Japanese forces to control the Pacific with relative ease. This might have complicated the war, and applied great pressure on the US’s Pacific front. However, in the greater scheme of things, the outcome of the war would not have changed, as the development of the atom bomb would not have been halted, and the Japanese surrender would have been inevitable. Are you curious how we teach WRITING online? Take a look at our advanced writing class where Tim reads his first draft of his essay, and I offer some editing tips and suggestions. Do you want help with your writing, in a small group or 1 on 1? We help all students, all levels, child to adult! Contact Scott today! Even among non-history types, these two words are highly-recognized, and bring up images of attack, surprise, treachery, and war. Along with 9/11, the very name "Pearl Harbor" stirs up memories of death and pain. What was Pearl Harbor, and why is it so famous? Pearl Harbor is a famous navy base on the island of Oahu, Hawaii. Long recognized for its deep harbor and strategic location halfway between North America and Asia, it has long been a valued US naval base and supply station. It is a little-known fact that, during WW I, when the US and Japan were allies against Germany, the US actually trained Japanese pilots at Pearl Harbor. Therefore, those pilots knew the geography of the area, plus the lifestyle schedules of the men based there, very well. During the 1930's, a time of global economic crisis, Japan, Germany, and Italy turned into right-wing, militaristic dictatorships. Also during the 1930's, Japan had been gradually attacking North China, which turned into full-scale war in 1937. (Some historians consider this the actual start of WW II.) The US, as an ally of China at that time, wanted to hinder and punish Japan for its aggression, but since the US was deeply mired in the Great Depression, plus almost no Americans wanted to start a war with far-off Japan, the US policy was economic sanctions (punishment) of Japan, not military attack. The most punishing of the sanctions was the US embargo (refusal to sell) of oil and iron. (Imagine: the US at the time actually exported more oil than it imported; very different situation today.) As a resource-poor nation, Japan saw this oil embargo as a direct threat. But rather than negotiate with the US and withdraw from China, Japan's leadership made the fateful decision to make a preemptive strike against the US. The Japanese goal was to control the East Asian/Pacific region, but they saw one potential challenger that could keep them from achieving their dream: the USA, with its large naval and air assets based at Pearl. In late November, the Japanese fleet left Japan and headed toward Hawaii, from which Japanese pilots would take off from the decks of Japanese aircraft carriers and bomb Pearl. While the Japanese fleet was sailing, Japan was conducting "peace talks" with the US. Their goal was to later declare war, then moments later launch the attack. However, because the declaration of war was lengthy and it took the Japanese delegates in Washington DC a long time to decode it, the attack actually occurred first, then Japan declared war. That fact enraged the US populace, who were infuriated at the "sneak attack." The attack began at 7:48 am Sunday, Hawaiian time, when many US servicemen were still in bed or in the chow line for breakfast. News of the attack was made public by radio at 2:30 pm, Eastern (New York/Washington DC) time. Many Americans were at home, resting after a morning church service and large Sunday lunch. If you can talk with Americans old enough to remember that moment, (those people are now in their upper 80's or 90's), they will often remember exactly where they were, and whom they were with, at that shocking moment. You can listen to some radio news broadcasts from that day here. Reports indicate that the Japanese military believed, after dealing a crushing blow to the US bases in Hawaii, the US government and public would be so shocked and dazed, they would seek peace. However, quite the opposite happened. Shocked by the attack but infuriated by the surprise nature of it, the American public overwhelmingly clamored for war against Japan. Not long before, public opinion surveys reported almost 90% of the Americans wanted to remain neutral in WW II, but the attack that Sunday morning changed everything. What effect did the attack on Pearl Harbor have on WW II? Why was the US in shock, but Churchill was rejoicing and grateful? Because until that day, only Britain and the USSR were standing against the Axis powers, and were barely hanging on. He had been begging Roosevelt for war aid, but because of American isolationism, help had been limited. So, once the US was in the war, Churchill knew America's great human and economic resources would be brought to bear and lead to eventual victory. Pearl Harbor is forever etched in the American mind. As a "total war," the entertainment industry aided in the war effort in many ways, including the publishing of patriotic songs like "Let's Remember Pearl Harbor." Even after WW II and until today, Pearl Harbor stands as a warning against carelessness and complacency. For example, shortly after 7:00 on the morning of the attack, two American soldiers were using a brand-new radar device on the northern tip of Oahu Island and observed a large "blip" that they thought to be about 50 incoming airplanes. They reported that to the control center, first being told that nobody was on duty (being early Sunday morning), but they persisted and called again, this time getting Lieutenant Kermit Tyler, who when he heard the news, responded with his now infamous, "Don't worry about it." (Lt. Tyler passed away in 2010 at age 96.) In one of the big "what if's" of history, if the US forces had been alerted to the attack some 45 minutes in advance, how might the outcome have been different? 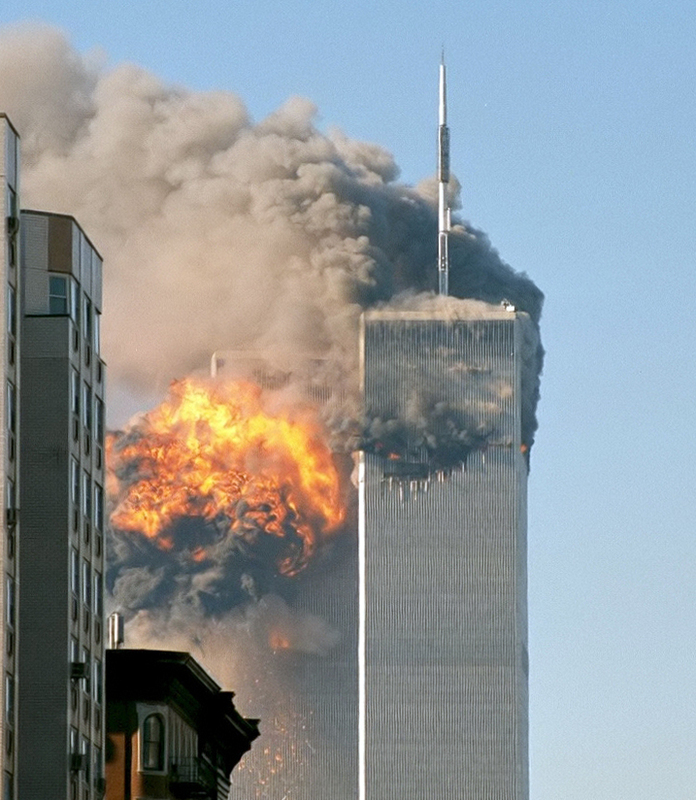 As it was, the entire US presence was caught totally unaware that fateful morning, unaware there was an attack until the first bombs began to fall. In an interesting side note, a Navy band began playing the American national anthem, "The Star-Spangled Banner" at 8:00 sharp on the deck of the USS Nevada, as, ironically, the band members began watching "the bombs bursting in air." If there were one "silver lining" for the Americans that day, it was the fact that the three US aircraft carriers based at Pearl Harbor were gone that day, out on the open seas for maneuvers. An aircraft carrier is basically a kind of "floating airport," so when it has planes aboard, it can project military power almost anywhere in the world. Therefore, those aircraft carriers were the main targets for the Japanese. So, despite the overwhelming Japanese victory that day, the Japanese leaders were not satisfied that afternoon, knowing that their primary objectives were still untouched and at large. Of course, when the US then began its war push against Japan after the attack at Pearl, those three aircraft carriers played a vital role in prosecuting the war. Still long after WW II, the attack that day and complete American unpreparedness serve as a warning. This bluegrass song "Let's not sleep again" advises Americans to stay awake and alert, lest we be attacked again. 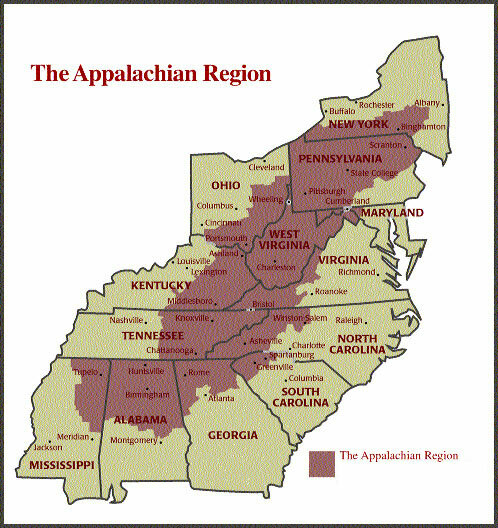 (Bluegrass is a popular music style in the Appalachian region of the US.) With the horrific attacks on 9-11 and more recently in San Bernadino, California, the need to remain vigilant to preserve liberty is still crucial. For a brief overview of the Pearl Harbor background and attack, watch this three-minute video. What if there had been no attack on Pearl Harbor? This is another one of those great "what ifs?" in history. Of course there is no way to tell, but many historians believe the attack on Pearl Harbor, by bringing the US into WW II, was a crucial step in defeating the Axis powers and preserving democracy and liberty in the world. Here is the logic. The US, with its widespread popularity of isolationism, persistent economic problems from the Great Depression, and relatively fresh memories of WW I, would probably have never entered the war, without that attack. By late 1941, Britain was barely clinging to its island as practically the only non-Nazi area of Europe, and the USSR was reeling from its own surprise attack from Germany that summer. The German army was at the gates of Moscow, and one German unit got to within five miles of Moscow. In Asia, the Japanese were still grabbing huge swaths of China, and would soon conquer the Philippines, Indonesia, and Southeast Asia. The outlook for the Allies was grim indeed. If the US had not entered the war, many historians imagine Germany taking over the USSR, Britain, and Africa, and Japan taking over Australia, India, and the Pacific. Imagine WW II with both the USSR and Britain defeated, and you can imagine the entire Axis onslaught against only North and South America. Frightening to imagine. What is it like to visit Pearl Harbor today? As a history major and teacher, I have long been fascinated by Pearl Harbor. However, since I am from Roanoke, Virginia, a trip from the East Coast to visit Hawaii is neither fast nor cheap. So in 2010, while planning our trip to Taiwan to visit family and lead a Summer English Camp for DreyerCoaching.com, I was delighted to schedule a lay-over in Honolulu on the return flight, for just a small airline fee. So, our family of six excitedly flew from Taipei to Tokyo, then to Honolulu for a marvelous week of vacation. After a very full summer of teaching English in Taiwan, the week on Oahu was a great time to relax and connect with each other. Before the trip, I had decided we would visit Pearl Harbor on our first day, because that was my top priority. I wanted to see it for myself, as a way to satisfy my personal curiosity and to improve my teaching practice, but it was also important to share that experience with my family. Early on our first day in Hawaii, we drove our rented van to the National Park site, getting there early to get a ticket for the boat ride to see the USS Arizona Memorial. That ship had sunk on December 7, and the memorial was built right over it. On one end of the memorial is the list of names of the sailors and marines who died aboard. In fact, the ship is only a few feet below the water surface, so visitors can look down and see much of the hull, and a few parts of the ship are even standing above the waterline. Particularly eerie is how some oil from the Arizona is still leaking, just a few drops at at time. You can stand there and, every few minutes, see a few drops of oil rise to the surface, break, and spread across the surface in a rainbow sheen. It's hard to imagine that some crew member pumped that oil into the belly of the Arizona in 1941, unaware of the disaster that awaited them. Our family still remembers that visit to Hawaii and Pearl Harbor. If you have a chance, try to go. If you are a person who often flies between North America and Asia, you might want to consider scheduling a lay-over in Hawaii some time. It is an economical way to pay for your trip, and it is a great way to break up that long journey! Oil sheen leaking from the ship--since 1941! How does this relate to English classes with DreyerCoaching.com? There are many places to learn English, including American English.But our program is unique, in that not only do we teach "English language," but also about "Life in America," and that includes some holidays, current events, and historical happenings. A few years ago I was having an online class with a student in Hsinchu, Taiwan, and it happened to be December 7. I had planned to briefly mention Pearl Harbor, then move into my planned lesson with our textbook. But as we started the class discussing the attack, the student asked a question, then another, then another. As I remember, I used a little Chinese to explain some points, but most of the class was in English--and this was with an elementary-aged, Chinese native-speaker student! Where is Pearl Harbor? Why did Japan want to attack America? What was it like? In late 2017, an advanced writing student had read this Pearl Harbor blog and wrote his own essay about the crucial 1942 Battle of Midway, which took place just six months after the Pearl Harbor attack and was the turning point in the Pacific Theater. You can read his essay and also watch a class video where he read his first draft and we discussed it. Click here. That is a unique advantage of studying English with DreyerCoaching.com: you learn English AND history! Come join us! Today a class of middle schoolers in Taiwan studied this lesson about Roanoke Island, a "mystery in history" about a group of English settlers who came to what is now North Carolina in the late 1500s. I read the passage first, so the students could hear how the words are pronounced. Then, we discussed some of the words I thought they might not know (ship), plus, some of the harder words are already in Chinese (colony-- 殖民地). It was a good chance too to explain some of the geography, such as Chesapeake Bay and Â how Virginia and North Carolina are neighboring states. As a plus, I got to explain how this story is about Roanoke ISLAND, North Carolina, and I was coming to them live via the internet from ROANOKE, Virginia. (The Roanoke River flows between these two points.) The word "bay" was fun to explain, because that is the "wan" (湾) in "Taiwan" (台灣). The students then took turns reading parts of the passage, as I helped them with difficult pronunciation. In 1587, ninety men, seventeen women, and nine children left England on a ship to start a new colony (殖民地) in North America (北美洲). The captain of the ship was Simon Fernandes from Portugal (葡萄牙). He was supposed to take the colonists (殖民者) to the Chesapeake Bay (切萨皮克湾). 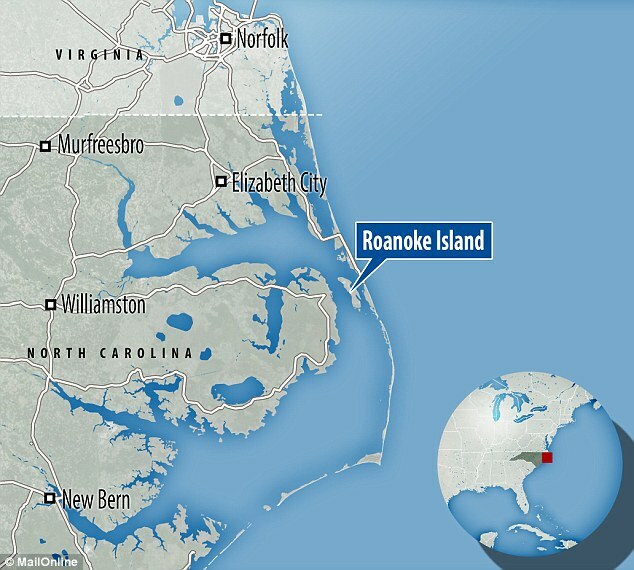 But instead he took them to a small island called Roanoke off the coast of North Carolina. He said it was too late in the year to take them any farther. Fernandes stayed about a month, and then left. The 116 people set up a small colony on Roanoke. John White was the colony's governor (州长). His daughter Eleanor was also in the colony. She gave birth to a baby girl shortly after arriving in Roanoke, the first English baby ever to be born in the Americas. After his granddaughter was born, John White left with Fernandes to return to England for more supplies (日用品). He told them before he left, that if they had any trouble, they should carve (雕刻) a cross (十字架) on a tree. But there was war (战争) between England and Spain at that time. And John White did not manage to return until three years later. But when he did finally return, no one was there. All 116 colonists were gone. They were never seen by another white person again. Things seemed to be fairly in order in Roanoke. And no carving of a cross was found. But the letters CROATOANS had been carved on a gatepost of the fort (堡垒) and the letters CRO had been carved on a tree. Did that mean they went to live on nearby Croatan Island? Where did they go and what happened to them? They were never found. And to this day, no one knows what happened to them. This is truly a mystery. However, some recent research has begun to shed light on what may have happened to the missing colonists. Check it out here. ***************************** Want to improve your English skills AND learn more about the history of America? Join our online program! We come to you LIVE from Virginia, one of the original parts of the USA, so you can learn much about our nation's origins. Join today! Ask about our November sale! Q: Who do you believe to be the 5 best and 5 worst US presidents, and why? 1. George Washington - The longer I live, the more I appreciate the difficulty of leadership and the importance of a strong foundation. Washington provided both. Considering he led a rag-tag, unfunded army against the world's superpower, Britain, and won, is amazing. He quietly presided over the writing of the US Constitution in Philadelphia, then was the first president for an upstart country trying to become one from 13 stubbornly-independent states. Most amazing to me, he was president for eight years, then quietly retired to go back to his farm home in Virginia. I do not know of ANYONE in WORLD history before that time to lead a country, then decide to retire and leave it all. That action set the precedent for the US to have limited presidential terms and avoid tyranny. As my friend and teacher-mentor Dave Flanagan liked to say, "Washington was a president and a precedent." 2. Abraham Lincoln - His humble beginnings are legendary; I have had the chance to see his birth site cabin in Kentucky and boyhood home in Indiana. The locations are remote in our lifetime, so in Lincoln's childhood, it was truly the frontier. His list of failures and setbacks is staggering, yet he endured and became the nation's chief executive just in time to see the nation falling apart. His predecessor, James Buchanan (see #2 worst below) left the White House claiming to be "the last president of the United States." As Lincoln came into DC, he had to travel by secret train, by night, so he would avoid angry crowds that might block his train in Baltimore, Maryland. From his new home in the White House, he could look across the Potomac River at night into Virginia and see the campfires of Rebel soldiers, his new enemies. His wife had mental issues and he had to deal with countless bad generals, but he endured it all and saw the war to preserve the Union through to Lee's surrender at Appomattox, Virginia, in 1865, the 150th anniversary of which we will commemorate in a few days. The fact that he was killed on a Good Friday helped seal him in the American pantheon as a kind of modern-day Christ-figure. Want to improve your leadership skill toolbox from Lincoln's life? Read Lincoln on Leadership, a book I have required my history students to read. 3. Franklin D. Roosevelt (FDR) - I am conflicted about this one, because there is so much negative I see from FDR's legacy in America today: from the bloated, out-of-control federal government to the millions now dependent on the Welfare State for a hand-out because they can no longer care for themselves...many of these ills trace their origins back to Roosevelt's New Deal. I also despise how he tried to "pack the Court" by placing new judges on the Supreme Court so he could get all he wanted. Still, on balance, I have always respected him as being the man who led the US through the Great Depression AND World War II. Just one crisis that size would undo most people, but he endured and led the US and free world through them both. I recently saw a program about FDR on the day after Pearl Harbor. While most in the White House were running around in panic mode, he was calm and balanced though the day. Wow. What a lesson of "being calm under fire." His personal stories of hardship also inspire. Years ago I took my family to see his home in Hyde Park, New York. The guide told us he came home as a young man from a trip tired, walked upstairs to go to bed, and never walked by himself unaided again. Polio had struck. How easy to give up. Instead, he learned to walk with braces and crutches, and forced himself to walk his long driveway to the road and back daily, for exercise. Heroic. I sometimes wonder, did his personal struggle against polio give him the internal grit to face the Depression and WW II with a smile on his face? Note: he did NOT mention being US president! And as much as I respect and honor the US Constitution, I am glad he conveniently ignored the fact that he had no constitutional authority to buy land, but he did anyway, because he got the Louisiana Purchase for a bargain from France and doubled the size of the US. Imagine the USA if it stopped at the Mississippi River today? 5. James Knox Polk - If Polk seems unknown today, he was unknown in his day too. In fact, the term "dark horse" was first applied to him as a politician, when he became president in 1844. A "dark horse" is a person unknown or not expected to be successful. Why did I place Polk in the top 5? He made five campaign promises, and kept every one...including to serve only four years and retire. How rare is that? Polk was perhaps one of our hardest-working presidents. Maybe it was because he was a "dark horse," but he worked with grim determination and almost never took a vacation. Sadly, Polk's work habits caught up with him, because he died from exhaustion just a few months after leaving office. Limited to only the top 5, I had to leave off these others I like much, for different reasons. Presidents Truman, Reagan, Theodore Roosevelt, Coolidge, and Ford. 5. Warren Harding - A scandal-ridden womanizer with no real accomplishments...what's left to say? It was claimed "his only qualification to be president is that he looked like one." His enduring legacy was a mistake: after the horrors of WW I, he promised to restore the US to "normalcy." Problem was, there was no such word, until he coined it. Now, it's a real word. 4. Lyndon Baines Johnson (LBJ) - An egotistical, foul-mouthed politician, we can thank him for committing the US military into Vietnam AND the "War on Poverty" and "Great Society," As one wag quipped 40 years later: "the War on Poverty is over, and Poverty won." Untold treasure spent to defeat poverty, yet we still have poor people, plus millions now so enfeebled and dependent on government hand-outs. And as Johnson himself boasted and predicted, many of those dependent persons are now well-trained to vote for Johnson's party (Democrat) every election. 3. Richard M. Nixon - A true waste. There was so much about Nixon that was good: he put the US on the path to remove our combat forces from Vietnam, he calmed relations with the USSR and opened dialogue with China, he created the Environmental Protection Agency (EPA). Yes, the Watergate Scandal was his undoing. Originally a small-level crime that he was unaware of, he could have easily denounced it and had eight successful years. I see Nixon as living proof of Proverbs 28:13. Whoever conceals their sins does not prosper, but the one who confesses and renounces them finds mercy. If he had "confessed" Republican involvement in the Watergate break in when it was small news, it would have remained small. But, he engaged in "stonewalling" and lied about it, thus the shame of Congressional hearings and finally resignation. Â The US was reeling from Vietnam and the tumultuous 1960's, and Nixon's resignation injured America further. 2. James Buchanan - To be fair, he was president at a terrible time: the late 1850's, as the US was unraveling and heading to Civil War. Still, he did almost nothing to help. (Ironically, Buchanan had one of the best resumes of any president, based on his earlier career, while he was replaced by a man with an incredible poor resume; Abraham Lincoln) (See #2 above). "We are five days away from fundamentally transforming the United States of America. Other "poor: presidents our nation has had to survive: Presidents Jimmy Carter, Bill Clinton, U.S. Grant (great general, just a terrible president). Thank you for reading my post. Who do YOU think are the 5 best and 5 worst US presidents, and why? Also, what sort of president are you looking for as we approach 2016? What do politics, the English language, foreign languages, architecture, farming, engineering, diplomacy, philosophy and religion have in common? Thomas Jefferson is what we call today a "Renaissance Man." The Renaissance was the time from the 14th to 17th centuries, between the Medieval period and modern period, and a time of great growth of learning, science, and exploration. So, a Renaissance Man is a person who has deep knowledge over a wide range of interests and subjects. Jefferson was such a person. There is a true story about a minister who was traveling by horseback through Western Virginia between Charlottesville and Lynchburg in the 1770's and stayed for the night at an inn. While there, he met a fellow traveler and struck up a conversation. At first they discussed farming, and the minister thought his new friend was a farmer, because he was so knowledgeable about agriculture. Then they discussed engineering and factories, and the minister believed the man was an engineer. Then when the minister identified his profession, his new friend discussed Christianity with him, and he thought he was a pastor. The next morning, the other traveler left very early. When the minister was leaving the lodge, he asked the innkeeper about the identity of the previous night's guest. "Don't you know?" the innkeeper asked. "That was Thomas Jefferson!" I love that little story demonstrates the broad breadth of Jefferson's knowledge. Thomas Jefferson was born in 1743 in Shadwell, Virginia. As a teenager he attended the College of William and Mary in Williamsburg, Virginia. Founded in 1693, this is the second-oldest college in the USA (second only to Harvard), and it is the university that my two brothers, sister, sister-in-law, a nephew, and I all attended. Even as a young man, Jefferson was distinguished by his brilliant mind and insatiable curiosity. If you tour the Governor's Palace in Williamsburg, residence of the British governor of Virginia when that was a British colony, you will learn that Jefferson even as a young college student was often invited to dine with the governor and some William and Mary professors to discuss the great ideas of the day. Imagine that: a teenager, among all the college students, invited to dine with the royal governor and other colonial leaders. That fact alone shows that Jefferson was remarkable, even as a youth. As a young man Jefferson inherited a farm of thousands of acres (and enslaved persons) when his father died. He was in his early thirties in the mid 1770's when the American colonies were embroiled in a massive dilemma: do we stay with the English crown as a colony, or break away? Since Britain was the world's main superpower of that day and had the largest navy, talk of independence was not only treason (punishable by death), but also highly unlikely to come true, as no colony had ever successfully broken away from England before. Looking back at that time now, most Americans believe many or all the colonists then would have supported independence, but that is not so. Today we believe only about one-third of the American colonists favored independence; we call them "patriots." About another third (called "loyalists") favored remaining under British rule. The remaining third was undecided or just did not care. (It seems American political apathy is not entirely new!) Jefferson, a voracious reader, thinker, and fan of European philosophers like John Locke, Jean-Jacques Rousseau, and Montesquieu, Jefferson took their ideas such as liberty and the right of people to choose their own leader and establish their own government and sought to put them into practice by setting up an independent country. This just goes to show: ideas have consequences! At age 33, he was selected as one of only six delegates to represent the colony of Virginia at the Second Continental Congress that met at what we now call Independence Hall in Philadelphia, Pennsylvania (a site my family enjoyed visiting when our children were young). That he was selected to join that exclusive, small group of men from the thirteen colonies to discuss possible independence was a huge honor and sign of how well-regarded he was. But then, as a member of that group, he was selected to join an even smaller circle of five that would author a tentative Declaration of Independence. Of those five, he was asked to be the main author, because everyone knew him to be a brilliant and clear writer. (In contrast, he was a rather reluctant, weak public speaker with a soft voice. (This shows how different people have different gifts. Have you identified your gifts?) Thanks to his role as main author of the Declaration of Independence, Jefferson is nicknamed "the pen of the Revolution." During the War of Independence he served as Governor of Virginia (thus living in the mansion he had visited as a college student), after the war he was Minister to France and the first Secretary of State under President George Washington, was later third US president, and as an older man he established the now world-famous University of Virginia. The week after Easter is spring break for many schools in the US, including the school that our Chinese guest students attend. So, to do something fun for the Easter break and help our students learn more about US history, I took our two guest students and a third Chinese student of mine to Monticello, Jefferson's famous home. From the headquarters of DreyerCoaching.com in the Roanoke Valley of Virginia, we drove east on Route 460 through Bedford (site of the D-Day Memorial), past Jefferson's summer home Poplar Forest (reportedly the first octagonal home in North America), then north on Route 29 to Charlottesville. By driving in late March, I was impressed by the countless wild redbud trees we saw by the roadsides, all in full bloom. In some places, it was like driving through a purple tunnel--just breathtaking. One of the main reasons I took these three Chinese students to Monticello was to let them learn more about an important person and place in American history, and I was not disappointed. In fact, I have visited Monticello probably six or more times, and each time I come away with a new understanding. Here is a small sampling of some of the tidbits we picked up. Books-- An omnivorous reader, Jefferson reportedly had the largest collection of books on the continent of North America during his lifetime. After the British burned Washington DC and the newly-established US Library of Congress in the War of 1812, cash-strapped Jefferson offered his library for sale as a replacement, and so the US government bought his 6,487 books for $23,950, thus forming the core of the current Library of Congress. (source). 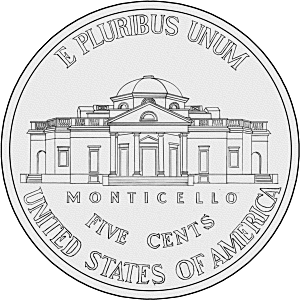 The nickel-- America's five-cent piece, the nickel, bears an image of Jefferson on the front and the rear (west) view of Monticello on the back. This alone shows how famous this home is. Tours-- We took the two tours included with the admission ticket: one was about slavery on the Monticello plantation and the other was the garden tour. Both lasted about 45 minutes and were informative. Jefferson was a master gardener and brought over many plant and tree species from Europe, especially with the hope that he could introduce new cash crops to help American farmers make a living. Whereas some American Founding Fathers wanted the US to become an urbanized, industrial culture, Jefferson believed America would be freest and most prosperous if we remained a nation of small farmers. We saw some short, red tulips blooming behind the house, and the tour guide said that early tulips were so expensive in America, that the cost of three tulip bulbs could be used to buy a small house at the time! We met a German couple that had bought "round the world" airplane tickets and had been traveling for 10 months! It's always fun to meet interesting people when you go places! Inventions-- A creative genius, Jefferson invented a clock that now hangs over the inside of the front door. He wound it up once a week and it rang a bell every hour on the hour that could be heard on the grounds, it had two faces so it could be seen from both inside and outside the house, and it has cannonballs on weights that also told the day of the week! He also bought a machine that let him write a letter with one hand and an attached mechanical arm made an exact copy. That way, when he wrote a letter to a friend that might take months or years to hear back from, he could keep a record of what he had first asked about! His death-- Jefferson's life was full of irony: the man who wrote "all men are created equal" kept hundreds of slaves to run his plantation. His passing was also ironic. He died on July 4, 1826. Not only is July 4th the US's birthday, when Jefferson's Declaration of Independence made history, but that particular July 4th was the US's 50th anniversary. A triple irony: his fellow founder and second president, John Adams, died that very same day. Jefferson and Adams had been friends during the Revolution. In fact, they worked on the Declaration of Independence together. Then later, when the US was a new country, they both ran against each other to be president, in 1796 (Adams won) and again in 1800 (when Jefferson won). At that time, not only were they political rivals, but bitter enemies. However, as old men, they buried the hatchet and became good friends again. Adams too had irony. As he lay dying near Boston at age 90, his last words were "Jefferson lives," not knowing that Jefferson had died five hours earlier, at age 82, in Virginia. Many are shocked to see that the tomb marker does NOT mention this little nugget: that he was a US president! Do you want to visit the USA for a summer or winter vacation? Language program? High school or college? We here at DreyerCoaching.com can help you arrange the experience of a lifetime that includes English classes, living "life in America," and visiting famous sites like Monticello. Unlike many programs that take people to California or only the West Coast, DreyerCoaching.com is headquartered in the US state of Virginia, a birthplace of American culture and close to the nation's capital Washington DC. Contact us today to find out how you can improve your English right at home or office with our online classes or visit the USA! A profession is another word for a job or career. What are three professions that Thomas Jefferson was skilled at? What is a "Renaissance man"? Why is Jefferson often called a Renaissance man? What is the main idea of the story about Jefferson meeting a minister at an inn one night in western Virginia? Who made a joke that Jefferson alone was smarter than many Nobel Prize winners put together? What college did Jefferson attend? What fact from his college life shows that, even as a young man, he had a remarkable mind and character? True or False. In 1776, almost all people living in the colony of British North America wanted to break away from England and become a free country. What is Jefferson's nickname, and how did he get it? Jefferson is most famous for writing what document? What is most unusual about Jefferson's home, Poplar Forest? What wild tree in Virginia has pretty purple flowers in the spring? What US coin shows Jefferson's importance, and how? What is ironic about the date of Jefferson's death? What is ironic about the inscription on his tombstone? He died on July 4, American's birthday, and it was July 4, 1826, the US's 50th birthday. Plus, he died the same day that John Adams died. It mentions three main accomplishments that Jefferson wanted to be remembered for, but which did NOT include his being a US president! Check out this video about Thomas Jefferson and his legendary home, Monticello. Watch it here.